Unlimited Yoga Classes for 2 Weeks for Just $29! Through small changes in everyday living, we transform. Joy of Yoga and Wildwood Yoga will be conducting a 200HR RYT Training and Immersion for anyone wanting to become a certified yoga teacher or those that would like to deepen their physical practice and understanding of yoga's history, philosophy and practical application in today's world. Jill Dunlap and Joy Page co-created the hatha based curriculum that will be the basis for this training. The curriculum emphasizes alignment, anatomy, philosophy and meditation. Welcome to Complete Relaxation and Rejuvenation in Paradise!! Join Joy Montes and Jill Dunlap for 6 nights and 7 days of meditation, yoga, deep intention setting, connection and adventure while delighting in the culture, wondrous landscape, healthy food, local entertainment and beautiful accommodations. Be bold in your pursuit of well being. Give yourself the most meaningful thing you can; total restoration of mind, body and spirit. Leave with a fresh outlook on life! Joy Of Yoga is a peaceful and welcoming space. Our Hatha Yoga classes include Vinyasa, Basics, Mindful Movement, Yoga Nidra, Gentle, Chair, Restorative, Myofascial Release and Meditation. We also offer Spiritual Development Classes including Reiki Training, Intuition Development, Sound Training and 200HR Yoga Teacher Training! Private Sessions are available too: Coaching, Reiki Healing, Yoga Therapy, and Massage. Our Teachers and Healers are passionate about and continuously refining their craft. Students and Clients leave our Healing Center feeling rejuvenated, strong, flexible and inspired! Joy started practicing Hatha Yoga in Portland, OR in 1994 while in college. She immediately realized the significance her yoga practice brought to her mind and body, her heart and her life. It wasn't until she became a teacher that she realized THIS was her calling, her dharma, to share the profound benefits of the practice with others. Joy's classes weave intention with pranayama, precision in alignment with quiet mindfulness and subtle body awareness with refinement. Her classes invite us to attune ourselves to the needs of our bodies and adapt our postures to create more ease, and to experience the magnificence of simply being. Practicing yoga since 1994, Glenna offers Hatha yoga, massage ball therapy, and Reiki healing. In 2003 she completed her first Teacher Training with Ana Forrest; in 2011 she completed her Anusara Yoga Teacher Training. Since then, in mentorship with Elena Brower, Glenna has assisted her advanced Teacher Training as well as her Elevate Mentorship Program. In 2014 she began her exploration into yoga massage ball therapy with Jill Miller. Glenna has also been attuned as a Reiki master. 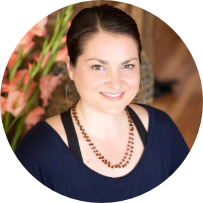 Informed by the philosophy, art, and science of yoga as well as the precision of anatomy, private work with Glenna may include Reiki, yoga, breathing, meditation, and/or massage ball therapy. All sessions may be enhanced with Essential Oils upon request. Teaching since 2011, her group classes are an empowering flow yoga that focus on alignment and breath to support a powerful, grounded practice. Robin Hahn is a graduate of the Healing Arts Center, Saint Louis, as a licensed massage therapist, and specializes in the John Barnes Method of Myofascial Release. 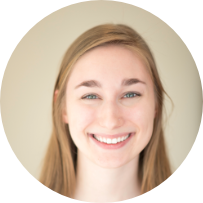 She originally came to work with Melissa an assistant but soon found that she had a special ability with Myofascial Release as well and enrolled in massage school to become a therapist. Her extended classes studying Myofascial Release with John Barnes along with her love of Reiki have made her valuable addition to our team. Robin has a love for working with campers at Girl Scout camp and enjoys spending time with her family and friends. Robin was homeschooled and has a unique approach to life, valuing connection, honoring each person as an individual, and seeing the bigger picture. She is a motivated and compassionate healer who has found her calling. She received the honor of being inducted into The Order of the Twin Heart, the highest award offered at the Healing Arts Center. Jessie Kissinger has been practicing yoga since 2004. Trained as a dancer, she came to yoga first for strength and balance, but mindfulness is ultimately what kept her coming back. She has a deep appreciation for the beauty of the asanas as they manifest in each unique body, and her classes emphasize alignment and breath work. She sees the practice as a pathway to a balanced life, connecting us to our bodies, our emotions, the people in our lives, and the Earth. 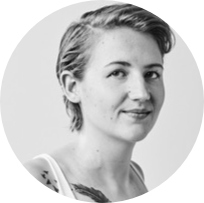 Off the mat, Jessie is a writer, and she loves to share books that have touched her heart and mind. You may also find her wandering around the farmer’s market, cooking, or walking her dog, Lena. 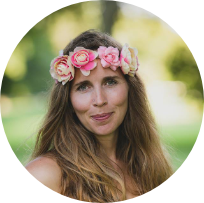 Melanie Klug is an Intuitive Channel, Yoga Instructor and Creative Writing Coach. She studied yoga, meditation, message therapy, African dance/drumming and Gestalt therapy at the Esalen Institute in Big Sur, California where she lived and worked for 10 years. She has an M.F.A. in Creative Writing from Naropa University in Boulder, Colorado. Melanie studied intuitive healing, channeling, and Theta Healing at the Angel Alchemy Academy, established and facilitated by Corin Grillo in Sunnol, California. Melanie uses Angel and Native Spirit Oracle Cards, charkra/energetic clearing and channels messages from the Creator, Angels, Guides and Earth elements in her readings, healings and teachings. Bryna first started practicing yoga in 2006 though prenatal yoga classes that helped her manage manic mood swings during her stressful pregnancies. After her last child in 2010, she found her self severely depressed, highly medicated, full of rage, consumed by anxiety and weighing over 300 pounds. She was completely hopeless and even suicidal at times. Bryna had given up on the idea of recovery through traditional doctors and western medicine. She began to resign herself to a prison of negative thinking, believing that life would always be miserable. In 2012 Bryna turned to her friend Joy who became her teacher and patiently guided her back to herself through yoga and meditation. It became her therapy and through the self exploration it offers, helped Bryna to reconnect to her true self. Yoga encouraged Bryna to face her deep rooted trauma and lead her back to her spiritual roots. By 2014, she was strong enough to wean herself off of all prescription drugs. "Yoga gave me my life back and created this grand gesture of gratitude for my miraculous reconditioned body and mind. Depression and anxiety are still very present in my life but I now have some tools to recognize and help manage my symptoms. I knew I had to share my experience with others and what better way than to teach?" Alicia came to yoga in 2015 as a source of reprieve from her academic and caretaking roles. Consistent practice awakened within her a hunger to invest more deeply in her physical, spiritual, and mental health. Doing so provided her with a newfound sense of resiliency, power, awareness, and freedom. Knowing that yoga can offer that type of transformation to all practitioners is what led her to pursue yoga teacher certification. Alicia’s mission is to guide students toward ease and delight in their bodies with clear, safe, and patient instruction. She desires to always stay curious, and to support others in the embodiment of yoga as a natural state of being. Her strong interest in welcoming students new to yoga, and serving those seeking rest and rejuvenation currently calls her to teach Basics and Restorative classes. When she’s not at the studio, you can find Alicia teaching English to immigrants and refugees, playing in the sunshine, or snuggling her cat. Rhonda is a joyous free spirit who is living her mission for the past 19 years: to explore what’s deeply essential, and share with individuals and groups to facilitate wholeness, embodied connection and creativity. Her classes, workshops, and trainings create a space of compassion, safety, freedom, and wondrous discovery. After an international dance career including performing, choreography and teaching, Rhonda discovered yoga, meditation and ayurveda in 1999. A new focus was born at the intersection of her devotional spirituality, the ancient tradition of yoga, and modern influences of movement, mindfulness, and creativity. In 2001, Rhonda began to teach yoga, and in 2003 she was initiated into the tradition of Sri Vidya by Pandit Rajmani Tigunait of the Himalayan Institute. She assisted ParaYoga founder Rod Stryker from 2003-2009. From 2010-2013, she facilitated weekly yoga, mindfulness, and movement groups with a traumatized population. In recent years, she has continued to study Tantra and assisted Todd Norian, founder of Ashaya Yoga, at his trainings and the Tantra conference at Kripalu. Since early 2018, Rhonda has immersed herself in Thomas Huebl's trauma-informed approach to mindfulness, meditation, communication and being a "mystic in the marketplace." Rhonda completed certifications in ParaYoga, BodyMind Coaching, Nonviolent Communication, and Transformational Leadership. She has led or co-led eight yoga teacher trainings and three coaching trainings over the past decade, and now has her own 500-hour embodied leadership and teacher training school. Rhonda lives in St. Louis and is delighted to teach group classes, as well as offer private yoga and embodiment coaching at Joy of Yoga. Keri, a Saint Louis based yogi, teacher and life coach found her yoga practice in 2007. In the beginning yoga was simply an outlet for stress and a much needed change from her fast-paced career and lifestyle. It wasn’t long until she realized that the practice was moving off of her mat and starting to transform her life. Keri became clear that yoga had become her calling, her dharma. In 2012 she took the plunge from corporate America to full time yogi and devoted all of her time to studying, practicing and teaching. 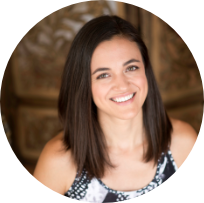 Keri is a 500-hr RYT specializing yoga therapy, psychology, and neuroscience. Her classes are spiritual in nature and are designed to have a strong emphasis on the mind, body and breath connection. Keri’s classes are challenging, heartfelt, fun and allow for greater physical and spiritual development. You will breathe, stretch, strengthen, explore, let-go and tap into that divine light that lies within. Anu is passionate about creating and sharing resources through her website www.anufrench.com including her children’s book, ‘I Am You, You Are Me’, her music CD on meditative kirtan, ‘Wake Up My Divinity’, her healing artwork, the ‘I Am’ series and her ‘I Am Vida’ line of accessories to support Literacy for Life. She is committed to partnering with those she meets to empower them to begin their own journey of healing and wellness. 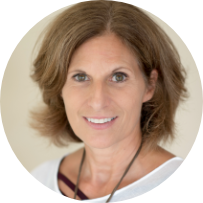 Pati is an integrative therapist using sound, body awareness, breath and meditation to help her clients restore a deeper sence of balance and peace. In 1994 she began her practice as a licensed massage therapist/bodyworker, her studies led her to Kototama Medicine, a Japanese naturopathic modality, drawing upon Eastern Philosophies of wellness. Her certiﬁcation in Sound Therapy in 2008 was a turning point in her healing work, the deep effects of vibrational sound energy medicine through the use of Himalayan Singing Bowls and gongs has brought a profound shift to the effectiveness of the healing she offers. Pati offers individual sessions, group workshops, sound meditation and collaborative musical concerts, creating a supportive environment for deep listening experiences. Mary Shackelford is a transformational coach and self-care expert. She is passionate about empowering individuals, using a whole person approach, to focus on nourishing the mindbodyspirit connection to live life more consciously and fully. After suffering from severe panic attacks and stress, Mary discovered the magic of self-care as the key to finding health, happiness and success. She has taken her personal journey, her formal education and her determination to live life passionately and made it her life’s work. With a career in nursing and multiple degrees and certifications in holistic wellness and coaching, Mary uses her skills and passions to create a pathway to positivity and joy. Through her coaching, workshops, writing and seminars Mary stewards busy, driven people back to their hearts showing how to put their health and well-being back on the priority list. Stefani started practicing Insight Meditation (Vipassana) in graduate school in Brooklyn, NY in 1999 while she explored her deep rooted patterns of perfectionism and procrastination. As she explored the practice with several teachers at New York Insight, she found a pathway to liberation from some of those well grooved patterns by sitting on a regular basis. In 2007, she was accepted to a year-long Dedicated Practice with Gina Sharpe where she was able to take her practice deeper and allow the dharma to provide the support she needed to get other insights on how she wanted to be in the world. She also taught young offenders at a Brooklyn Detention Center She’s also practiced yoga for nearly two decades, which will culminate this year with her getting her 200 Hour RYT at Joy of Yoga in late fall 2017. She’s so grateful to share her practice with others when both meditation and yoga have given her the most treasured gifts of living life with more peace, ease, and happiness. Aurora Dea Luna is the witch behind Dawn of the Moon Apothecary, an apothecary dedicated to strengthening our connection with the earth and the cosmos. She specializes in an energetic type of medicine called flower essences. Flower essences are a vibrational plant remedy used to heal on a spiritual and emotional level. Noel Flynn became interested in yoga in 2003. Her 200 hour yoga teacher training in 2007 educated her in the theories, methodology, and mechanisms of the healing powers of yoga. Noel has had the opportunity to train with Tias Little, Sarah Powers, Judith Lasater, Desiree Rumbaugh, Thomas Fortel, and Cat Matlock. She has also practiced at Kripalu Center. 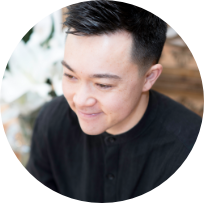 Noel studies and practices the ancient arts of QiGong, Tia Chi, and Feldenkrais. She recently attended an intensive healing workshop conducted by Master Liu from China and Britta Stallings from Africa. She appreciates teaching her students the Yoga asanas and Zhineng QiGong movements that support and heal the parasympathetic nervous system along with the whole body. Noel has a background in athletics and was competitive in a variety of sports especially tennis, swimming, and figure skating. In her career, she received a Masters in Education and taught children with special needs for many years before transitioning her skills in planning, attention to detail, and training into corporate management for various international companies. Laura is a botanist trained in evolutionary biology. She received her PhD in 2017 and works as a researcher studying cultivated grapevines. Outside of academic pursuits, she is deeply interested the natural world and human uses of plants. She is very excited to explore how to incorporate herbs into her physical, mental, and spiritual health among other plant enthusiasts. Rachel began her yoga practice in 2010 in an effort to focus on her health. She fell in love straight away and slowly built up her practice exploring different types of yoga. Rachel is a glamorous nomad that has spent the past few years, traveling, learning and having adventures. Traveling through Asia and the pacific yoga was always a constant. She received her yoga teacher training in Rishikesh, India from the Vinyasa Yoga School in 2015. She spent time at yoga retreats in Thailand and Nepal, took many styles of classes in South Korea, Vietnam and New Zealand. After spending so much time exploring Rachel is thrilled to be given the opportunity to share all of the benefits yoga has brought to her life with others. 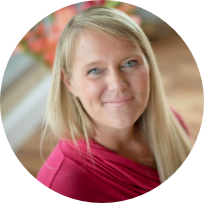 Melissa Russell is an Expert Level Myofascial Release (MFR) therapist and the founder of Quantum Healing Arts located in Saint Louis, Missouri. 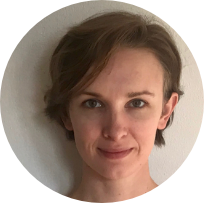 As a Licensed Massage Therapist, Melissa specializes in the John F. Barnes (JFB) MFR approach; a manual therapy based on gentle sustained pressure into the fascial restrictions to help eliminate pain and restore motion. Before starting her private practice, Melissa gained invaluable skills and expertise while working in the physical therapy department of a pain management center treating patients with various chronic pain symptoms and disorders. She has been an instructor for the JFB MFR seminars since 2007 and is the approved facilitator/leader for the JFB MFR study group in Saint Louis. She was given the designation of “Expert Level” MFR therapist by John F. Barnes in 2011 and is a current member of the Associated Bodywork and Massage Professionals and a graduate from Myotherapy College of Utah, 1999. Melissa Russell is uniquely qualified to treat complex symptoms and pain patterns with varying degrees of dysfunction, assisting her clients to find relief while helping the body restore to its natural balance and alignment. JennTara’s classes are fun and challenging in a safe and systematic way. Her gentle spirit supports and nurtures students of all levels and helps them feel a sense of self-acceptance. She is attentive and her clear & creative instructions help students progress in their practice and get into poses that may normally be difficult to them. She has a deep understanding of the body and alignment and students enjoy the pace and flow of her classes. Her theme based classes offer time to unplug from the day, play, and deeply relax. JennTara has been teaching yoga since 2003 and has been a licensed massage therapist since 1998. Her formal yoga studies are in the tradition of Anusara Yoga and she has studied many hours with John Friend and other senior teachers of the Anusara Tradition. She enjoys spending time with her husband and her son. 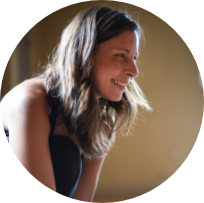 Andrea first discovered yoga in Boulder, Colorado in 2011 and was drawn to the spiritual nourishment and awakening it offered her during a year full of personal transitions. 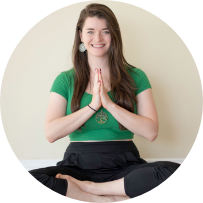 She continued to develop her practice in both Saint Louis and New York City over the next several years and is now eager to share the many benefits of yoga with her students. Her particular interest lies in the mental, physical, and spiritual awareness that a personal yoga practice can help individuals to develop, and she will continually be working to help others find new levels of awareness in her classes. Off the mat, Andrea is an interior designer and can be found cooking, gardening, and spending time with her three cats, dog, and husband. 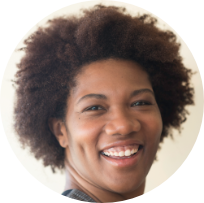 Sheila Pride is a licensed clinical social worker and practices as a holistic therapist in the St. Louis area. 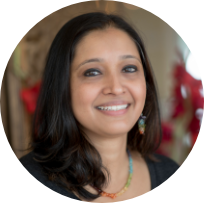 She holds a Master’s Degree in Social Work and integrates Eastern and Western practices into her private practice. She is also a Bhakti yoga teacher, cranial sacral therapist and licensed massage therapist. 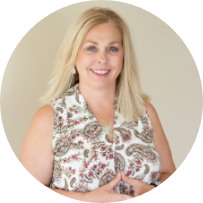 Sheila is passionate in teaching others self care practices and helping individuals restore their health, maintain balance and connect with their own internal power and wisdom. Her yoga classes emphasize reclaiming ones power, opening the heart and healing the body/mind through ancient practices, loving kindness and meaningful connections. Jazmin is a Puerto Rican native and St. Louis transplant. Often caught in two cultures throughout college, Jazmin noticed a lack of connection throughout the Latin American community. Her own desire for a better connection to her self allowed Jazmin to discover yoga as a wellness tool. After completing her 200-hour yoga teacher training in 2017 through Yoga Buzz, Jazmin saw the need for Spanish-speaking taught yoga that would both complement and empower her community. Jazmin hopes to work within the Latin American community to facilitate connection, understanding, and commitment to the mission of yoga for all! Jazmin nació en Puerto Rico y se mudo a St. Louis jovencita. Al sentirse entre medio de dos culturas durante los años de la universidad, Jazmin notó la falta de conexión entre la comunidad latinoamericana. Su propio deseo de mejor conectar con ella misma guío a Jazmin a descubrir el yoga como herramienta de bienestar. Después de completar su entrenamiento de 200 horas para maestra de yoga en el 2017 a través de Yoga Buzz, Jazmin vio la necesidad del yoga enseñado en español que complementaría y empoderaria a su comunidad. Jazmín espera trabajar con la comunidad latinoamericana para facilitar la conexión, el entendimiento y el compromiso a la misión del ¡yoga para todos! 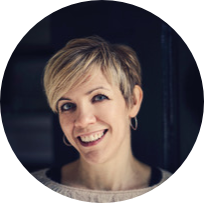 Jo is a certified mindfulness teacher, under the tutelage of Jack Kornfield and Tara Brach, and has been studying and practicing mindfulness for the past 7 years. He is the founder of mindfulness programs at Express Scripts and Slalom, and also teaches at a local meditation center. Aside from his formal studies, Jo draws from his own life experience as a transgender man in his teachings of developing the self-awareness and self-acceptance to learn and be who we are, and cultivating the contentment and ease for which we all have the potential. Jo's classes are all about helping people access their own truth and wisdom in a safe and inclusive space. His teaching style is practical, casual and joyful; never afraid to inject a light dose of neuroscience or an embarrassing life anecdote to support the teachings. Outside of teaching mindfulness, Jo is also a management consultant with Slalom, helping local organizations transform with an integrative and human-centered approach. Jo's life work is to help people and organizations consciously cultivate the seeds of compassion, wisdom and happiness that lie within all of us so that we can offer the best of ourselves to the Earth and all of it's beings.